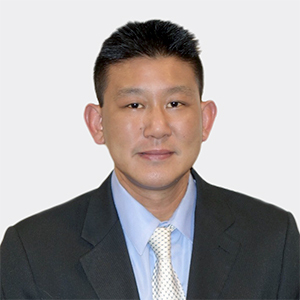 Xavier Tan-Sanchez is an Associate Attorney in the Van Nuys Office. He was admitted to the California Bar in 2003 and commenced his career representing individuals with personal injury, workers’ compensation claims and representing debtors in connection with Chapter 7 and Chapter 13 bankruptcy petitions. Prior to joining the firm, Mr. Tan-Sanchez spent eleven years as staff counsel with the legal department of a major workers’ compensation insurer, handling all aspects of workers’ compensation cases. Xavier Tan-Sanchez received his law degree from the University of the Pacific, McGeorge School of Law in 2002. In 1998, he earned a Bachelor of Arts in Political Science from University of California at Irvine. Xavier Tan-Sanchez is a member of the State Bar of California. Being a lawyer not only allows me the freedom to pursue my own personal and professional aspirations, but more importantly, it allows me to be of service to others and provides me with the opportunity to make a difference. I have a strong personal interest with ending animal overpopulation and homelessness. Having volunteered at local animal adoption drives and being a proud parent to a several rescued animals, I take pride in saving and improving the lives of those in need.